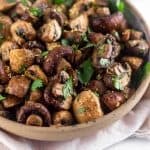 An easy side dish, these Balsamic Roasted Mushrooms take just 25 minutes using 6 simple ingredients. 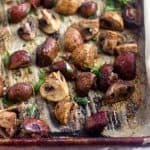 Vegan, gluten free, paleo, and Whole30 approved! Holy crap how is Thanksgiving next week? More importantly, how am I getting married on Friday?!? I swear it was just the summer and I thought we had plenty of time for all the things. Jokes on me! November is in full swing and holidays are upon us and it’s time to embrace it! I mean I’m not ready for Christmas or anything just yet, but I’ll take Thanksgiving. 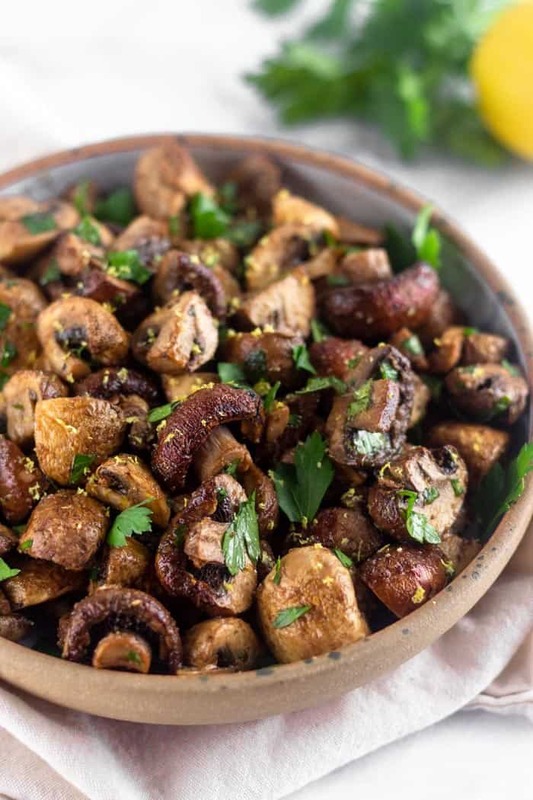 And even though I am getting married and will be super busy, I have two new easy side dishes coming your way, one of them being these balsamic roasted mushrooms! For me Thanksgiving is all about the sides. To be honest, the turkey is good, but was never my favorite. 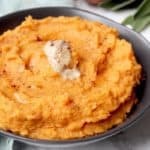 I am all about the sweet potatoes, mashed potatoes, all the veggies, cranberry sauce, and bread. We also make fish since my mom is a pescatarian and I was for about 5 years. The sides are always what I load up on and go back for more. 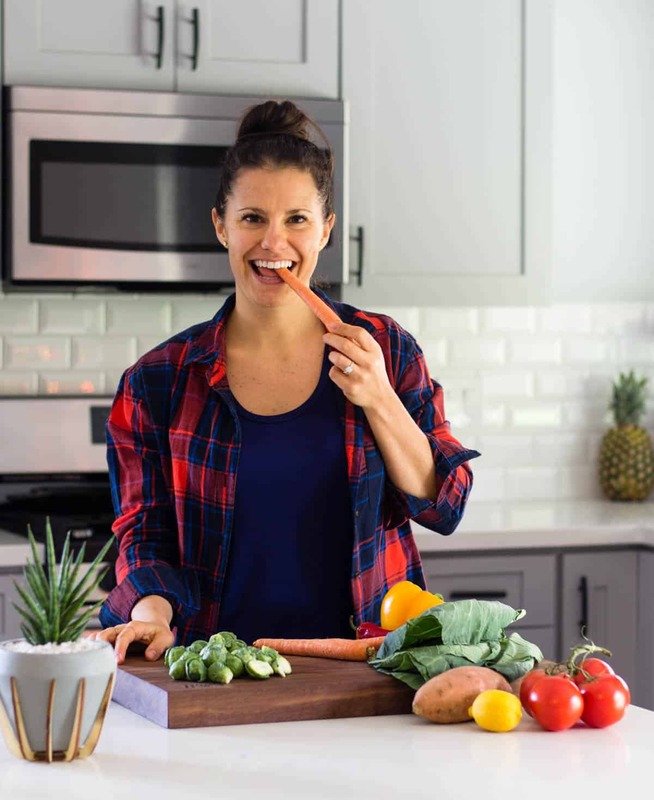 My love for my mom’s mashed potatoes runs deep, but so does my love for vegetables. We usually have 3-4 choices on Thanksgiving thanks to demands from my sister. She is pretty particular when it comes to what we eat on holidays. 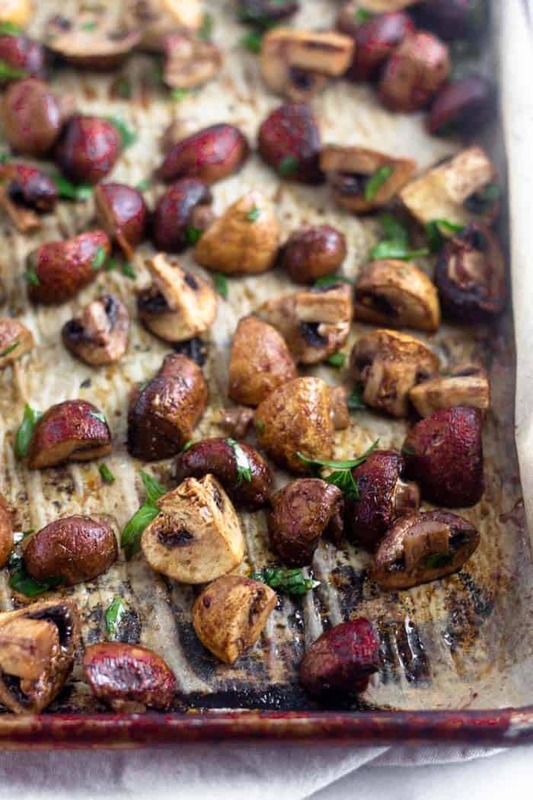 That is where the idea for these roasted mushrooms came in. 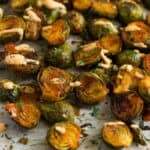 I actually make these fairly often and figured they would be perfect as a side dish or appetizer come the holidays. This recipe couldn’t be easier. We all know we don’t need any extra stress over the holidays, especially when it comes to what you are making (which is bound to happen). 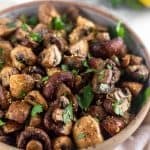 These mushrooms are tossed in oil, balsamic, lemon juice, and some garlic, roasted, and then tossed with more lemon juice and parsley. I diced them, but you could keep them whole for a prettier presentation. The recipe only makes 3 cups so feel free to double or even triple it! 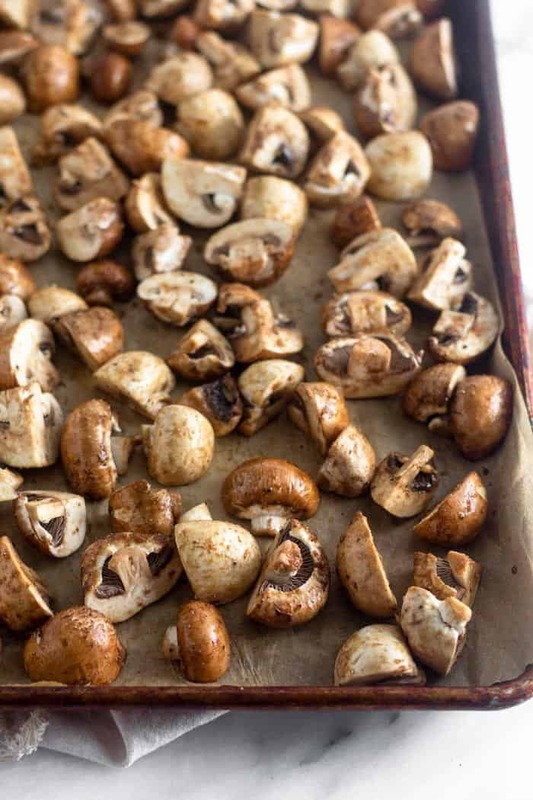 Even though it is the holidays, these mushrooms make a perfect side dish all year around. 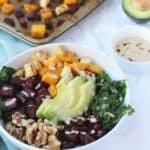 I love having them on hand to add to bowls, salads, or even just snacking during the week. They are definitely meal prep friendly. 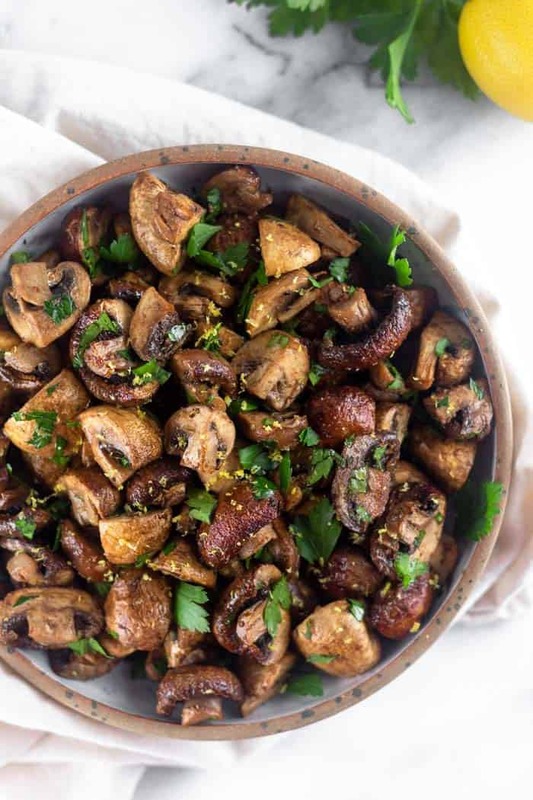 I could probably eat the whole batch in 1-2 sittings if I’m being honest, so double or even triple it if you love roasted mushrooms like me. Preheat oven to 375 degrees Fahrenheit and line a baking sheet with parchment paper. 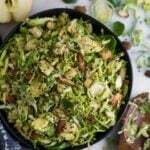 In a small bowl mix together avocado oil, balsamic, 1 tablespoon lemon juice, and garlic powder. 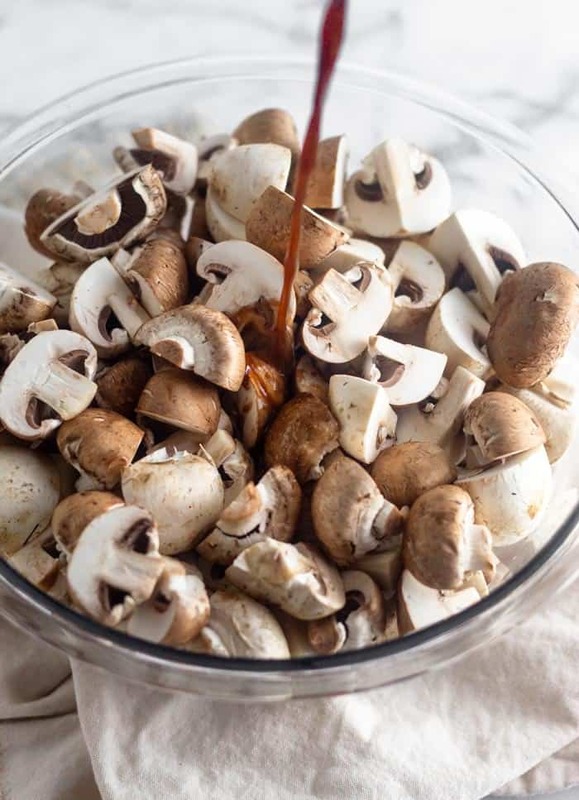 Add mushrooms to a medium size bowl and add balsamic mixture. Mix well to combine. Roast for 20-25 minutes until tender. Place in a medium size bowl and add 1 teaspoon lemon juice and chopped parsley. Stir to combine. Top with lemon zest. 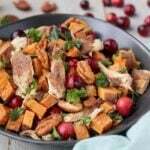 This recipe was previously posted and was updated this year with new photography! I haven’t done any gift shopping yet! It’s crazy to think Christmas is only a few weeks away!! And yay for team side dishes. I hope you like them! Keep the juices at the end or drain? Hey Melissa! I like to keep some of the juices for more flavor! Hope you enjoy!